APPARENTLY RIDING A MOTOR BIKE WITH A PILLION PASSENGER ISN’T A CONCERN ! LOOKS LIKE THE WHOLE STREET JUST BECOMES A RIVER. WOW. Previous Previous post: Look what Ben taught me! Next Next post: Swimming anyone? 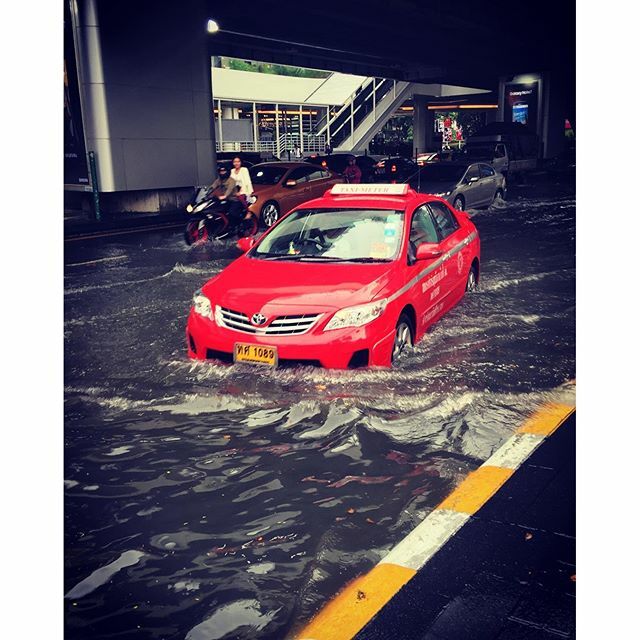 Just a little rain in Bangkok today.